Craft Beverage Expo (CBE) 2018, the only show dedicated to independent beverage producers, is pleased to present the event’s full line up of education sessions. The three show days of education will feature support and insights along each point of the product distribution lifecycle. From locating distribution partners to capitalizing on retail success to expanding into new markets, CBE is aiding the pioneers at the forefront of the craft movement to turn a profit in this competitive landscape. This one-of-a-kind conference and tradeshow for alcoholic and non-alcoholic craft beverages will take place at the Omni Louisville in Louisville, Kentucky, on December 4-6, 2018. The Alcoholic Beverages global market is projected to reach $1.86 billion by 2026. With more than $31 billion in sales in 2017, craft producers are looking for guidance on how to capitalize on the market growth and looking to overcome the biggest roadblock in this industry: how to distribute in a highly regulated marketplace. The 2018 Craft Beverage Distribution Conference, the event’s educational component of CBE, will take independent and small batch producers step-by-step through the distribution stages to ensure attendees’ products get to the retail channel. Each day will build on the previous day’s sessions, providing a complete overview of the distribution process. The lifecycle will start by teaching attendees the tools needed to build relationships with distributors, develop distribution strategies, identify growth and expansion goals, and will wrap with retail strategies for retail success. Visit www.craftbeverageexpo.com for a complete list of speakers, session schedule and compelling session topics. Boutique wineries, independent producers, craft beer firms and craft spirits companies and others in attendance can connect their newfound knowledge with vendors and service providers at Craft Beverage Trade Show. The robust marketplace will feature turnkey solutions to compete in this crowded and expanding segment. The curated show floor has been designed to cater to spirit producer’s unique business needs, giving them the opportunity to establish and strengthen relationships with key vendors and service providers. and Craft Beverage Trade Show will combine world class education with an unprecedented exhibit experience which will open the door to insights, tools and services needed to succeed in today’s small-batch world of distribution and the retail landscape. Tickets to both Craft Distribution Conference and Craft Beverage Trade Show are now available. To purchase tickets or find out more, visit www.craftbeverageexpo.com. 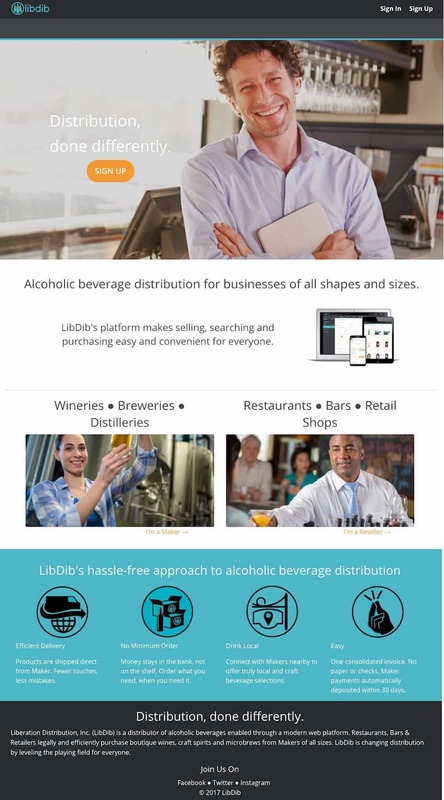 To exhibit at Craft Beverage Expo 2018, visit www.craftbeverageexpo.com/expo. Success in business starts at Craft Beverage Expo 2018.